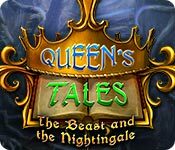 Queen's Tales: The Beast and the Nightingale is rated 4.6 out of 5 by 46. Rated 5 out of 5 by iou001 from We need more games like this. This is one of the better games I've played in a long time. The graphics and animations are so beautiful and I love the furbabies throughout the game. I like that it's not a stressful game trying to find things. My memory is bad so I have to click on the hint button a lot to find out where I go next. I want more games like this please. Rated 5 out of 5 by upsysydaisy from Excellent!! What a wonderful game...I am sure you will love it, too. It has a good storyline that is not weird or confusing. No monsters lurking around every corner. The angry, mean witch is our villain. The graphics are colorful, clear and so beautiful. Every scene was full of interesting things. The map worked just great. The HOs were fantastic and very interactive, the games were a little challenging. I got such a kick out of the sweet little helper named Weepie! Just wait til you hear her! So funny and adorable! The golden bird was unusual in the way that it helped, very nice. I absolutely loved this game, one of the best IMO. It was excellent from start to finish. Rated 5 out of 5 by deeanddeeann from ABSOLUTELY GORGEOUS!!!! this game is absolutely gorgeous!!! i can't say it enough........all the colors, all the people, the mermaid, the gnome. the story is very good!!!! i played it all in one day. i couldn't put it down. get this game you won't regret it!!! Rated 5 out of 5 by ninda2 from Love Beauty amd the Beast Spin Since I am a huge ERS fan, it goes without saying that I really enjoyed this game. Their graphics are just beautiful and crisp. There are wonderful creatures and cute critters. The interactive HOS are both silhouette and list. So the silhouette HOS are the kind where you have to find an object and then use it to find another until you receive the item you will need on your journey. The puzzles are a little different and some of them may seem hard, but for the most part they are not so hard that they become frustrating. I recommend that you try the game for yourself, I don't think you will be disappointed. Rated 5 out of 5 by HCC_314 from Worth playing and replaying A ripoff of Beauty and the Beast, a la Walt, with a very handy plant-growing nightingale instead of a rose. There is also a wicked witch and a boy who is a friend getting caught up in your quest to get to the Beast. Add some truly delightful little helper characters (Weepy??! ), and you have the coolest fairy tale quest game *I’ve* played in months. To top it off, there were no technical glitches or fidgety controls. A 4.5, but I round up when I've enjoyed a game! It’s clearly a fairy tale, so any lack of logic wasn’t really an issue for me. That said, I noticed only two anachronistic (non-fairytale) items in one HOS: that’s outstanding consistency and attention to detail. All of the HOS were interactive, most with minipuzzles embedded. They were bright and uncluttered and there was an alternate: a fabulous match three that involved rotating sets of four tiles to get the match. I have to admit to being stymied a lot. My next direction/action wasn’t always apparent. Action takes place over a large area, and there was a fair amount of possible backtracking within locales. I used Hints and the Map a LOT, fortunately they were good to excellent. The puzzles were fun, numerous and not that hard. There was only one that was so poorly explained/executed that I had to Skip it. Mostly I just tore through the gameplay, finished far too soon, and was sad that I didn’t get the CE. This goes on my Play it Again list! Rated 5 out of 5 by SparkleGlow100 from Hope they make more like this! 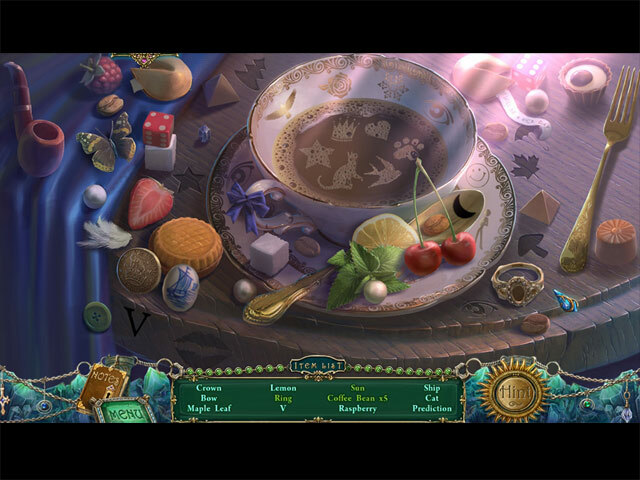 Inventory-based, Hidden Object, Puzzle, Adventure: Gorgeous landscapes, with amazing details. Thoroughly engaging story. I loved this game from start to finish. There is no horror in this game - there is magic. This would safely land in the fairy tale category. 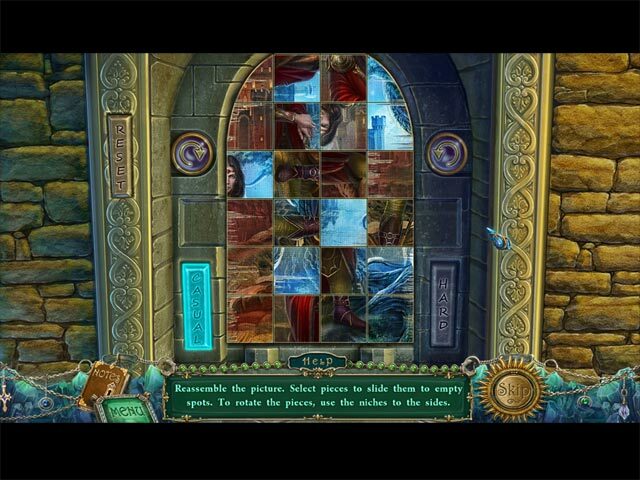 This game entrances you with its well -constructed, glowing, night-gardens, outdoor scenery, and imposing but cozy castle. Butterflies, flowers, jewels and great lighting. Loved it. Hope I continue to find more like this one. This is my favorite type of game. I kept looking at the scenes, and going, “Wow, look at this!” I thought the balance was just right, the HOS (not too many), and the puzzles were interesting and varied. The adventuring part of the story was questy and well thought out. The story itself was lovely and had that feel-good factor. The story is well described in the game description. . If you play in casual mode, the hint button recharges very quickly. Played well on Windows 7, 64-bit. Filled the whole screen (which I love) without getting that stretched look. 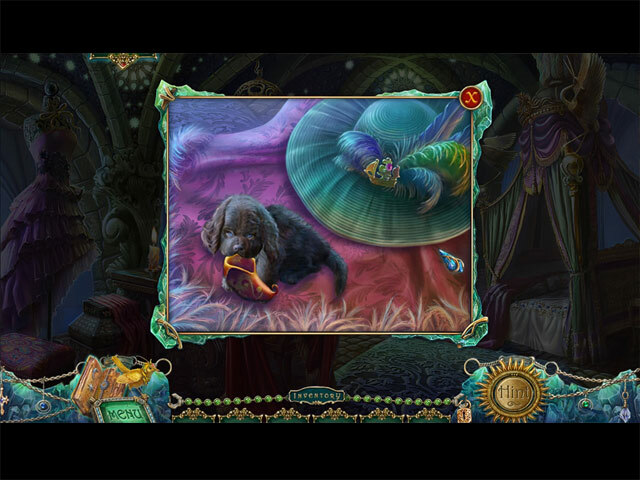 Rated 5 out of 5 by VirginiaPat from Queen's Tales: The beast and the nightingale In a word, this game is charming. It is more of a girly game than a "studly" one, I suspect. I played in the casual mode, and it was still a bit difficult figuring out what to do next. The hint button only pointed out the task in that scene, which wasn't much help; I knew what the task was, I just didn't know how to accomplish it! The map was very helpful, and it did transport. The puzzles were fun, some were easy, others more difficult, all of them could be played in either "casual" or "hard" modes. It was fairly long, and each scene was more lovely than the last, with the overall feeling of enchantment in each of them. A totally great game for a teenage girl, an old lady like me, and most of those in between. I loved it!